The Aries Switchback headache rack is an aggressive, off-road-style headache rack that features rust-free construction, an LED-compatible top edge and a patent-pending design -- all to make sure your truck not only stands out on the road, but also has the backbone to tackle the trail. The Switchback headache rack is built with all-aluminum construction, meaning you will never have to worry about rust. 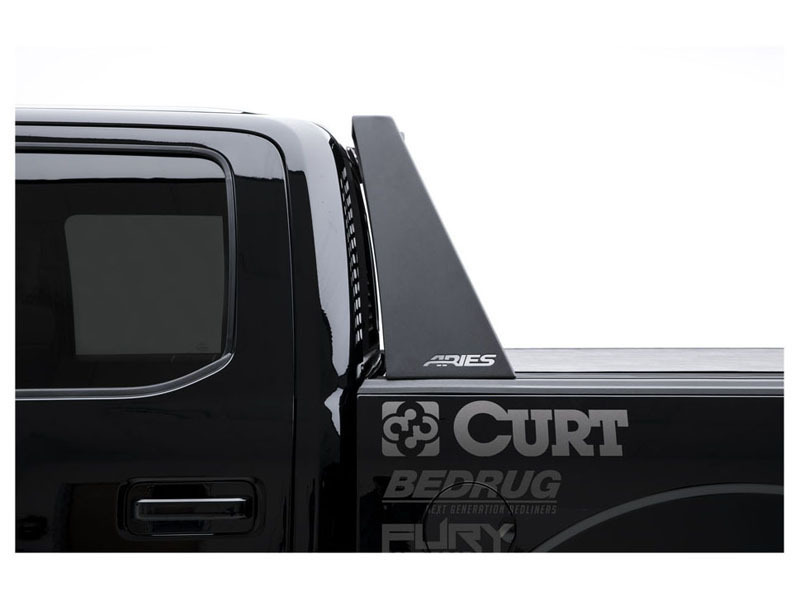 Aluminum offers solid strength while helping to keep your truck lightweight. 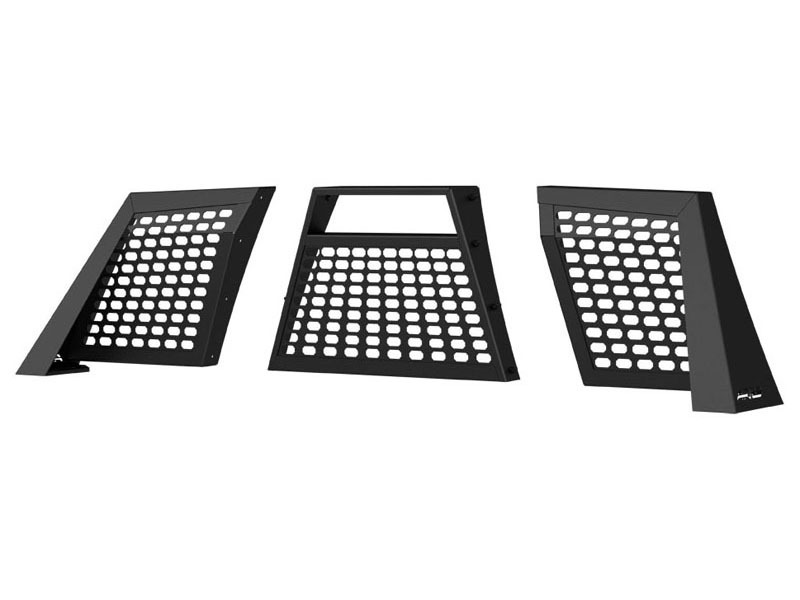 The aluminum alloy is also protected with a highly durable carbide black powder coat finish that maximizes corrosion resistance and adds a sleek finishing touch. The Switchback is also built to readily accept aftermarket lighting. 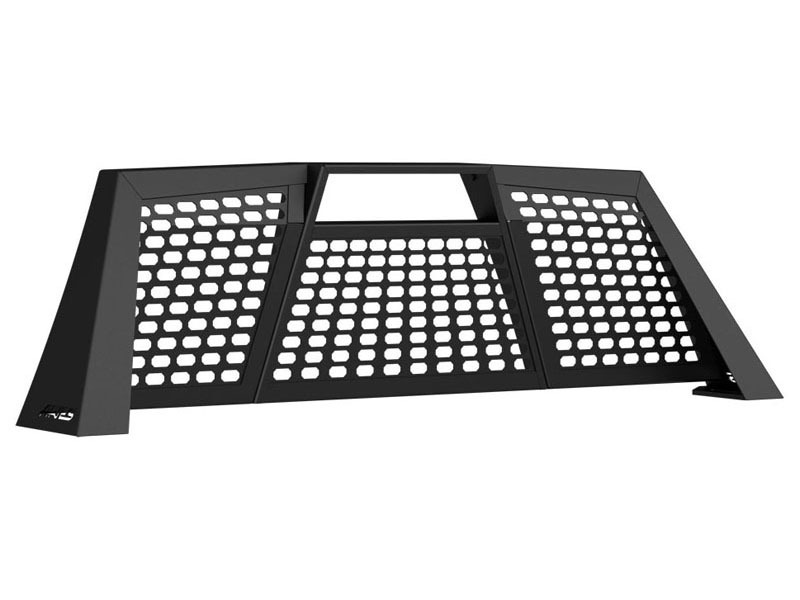 Its top edge is a slotted channel that can easily accept LED light bars or work lights. Three 10 inch LED light bars (Aries #1501260) are recommended. 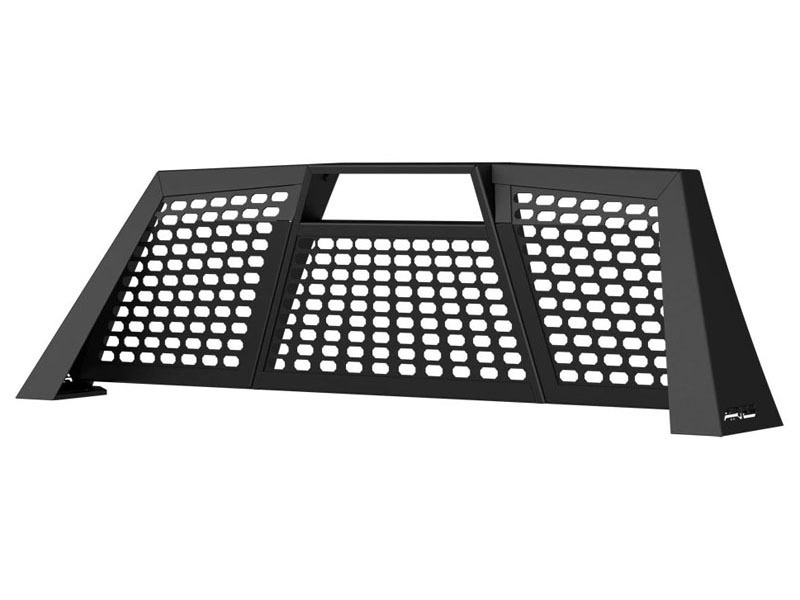 The slotted channel allows for easy installation of the lights and adjustment as needed. Installing the Aries Switchback headache rack couldn't be easier with our patent-pending headache rack mounting system. Like our AdvantEDGE headache racks, the Switchback features a unique stake pocket mounting system that requires no drilling or complicated procedures. Simply drop it in, tighten a single bolt on each side, and you're ready to hit the trails. 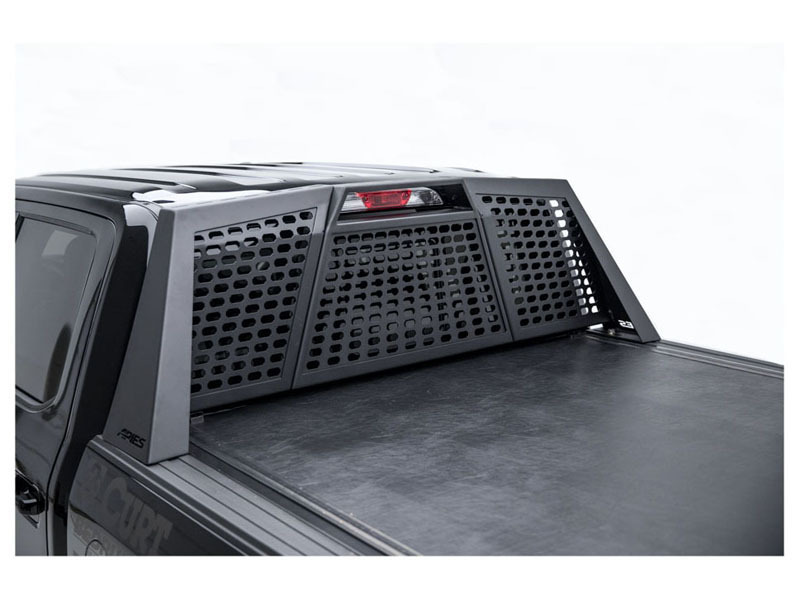 The Switchback also features a three-piece assembly, making it easier to ship, and allowing you to mount the headache rack without the center section for easy access to the rear cab window. 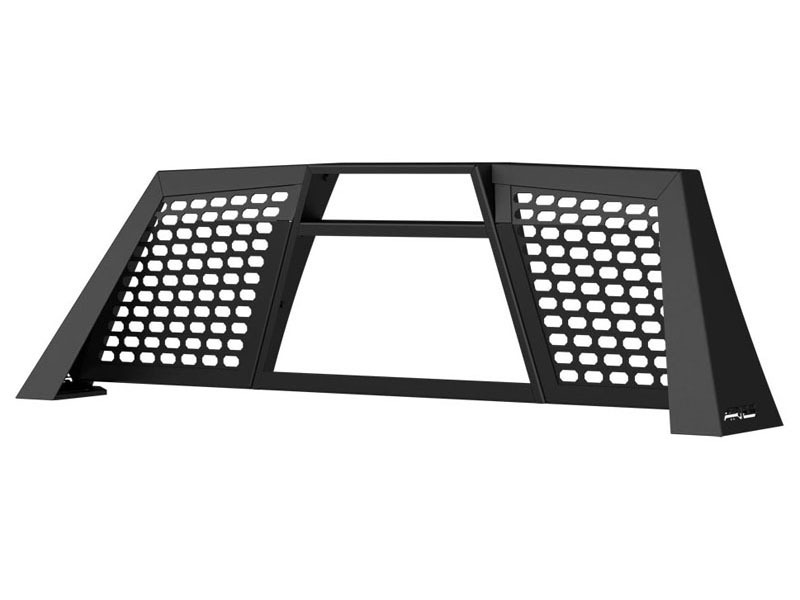 The Aries Switchback headache rack comes with all necessary hardware for a complete installation and is backed by a five-year warranty.